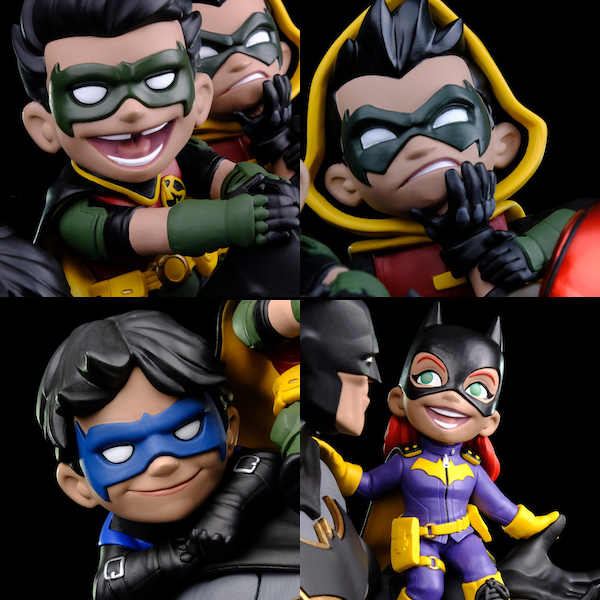 Q-Fig from Quantum Mechanix mixes super-deformed and realistic elements for a cartoony cute look that’s unique. 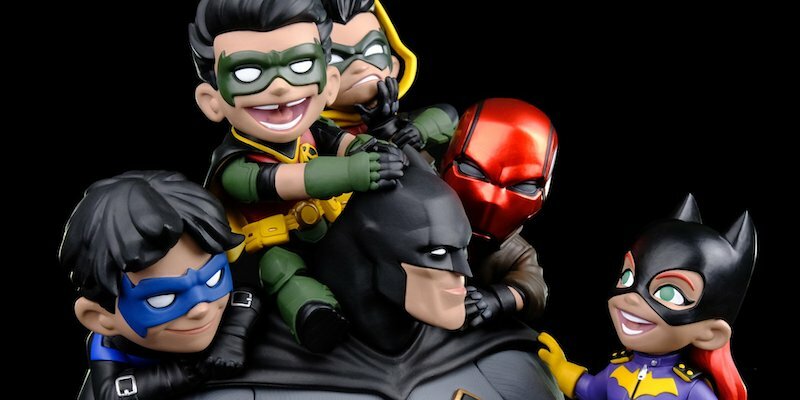 This limited edition statue of Batman and his ‘family’ ups the scale for more detail and fun. 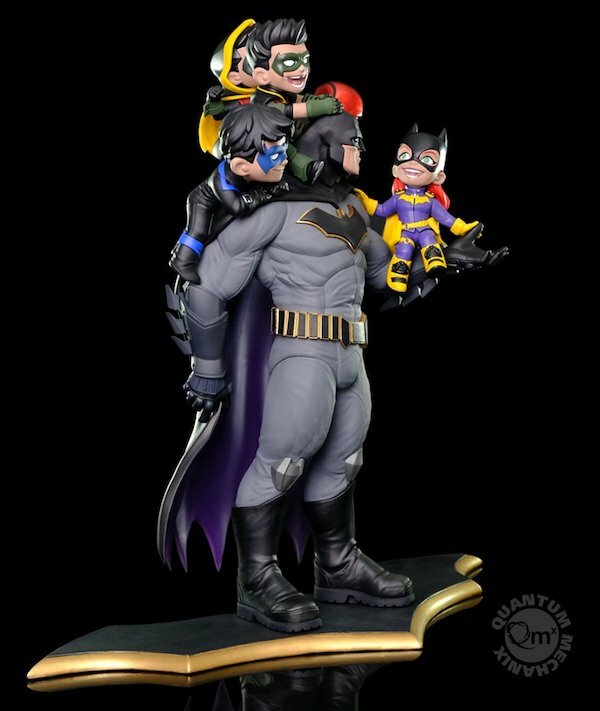 This statue focuses on a key aspect of the iconic character – the family man. 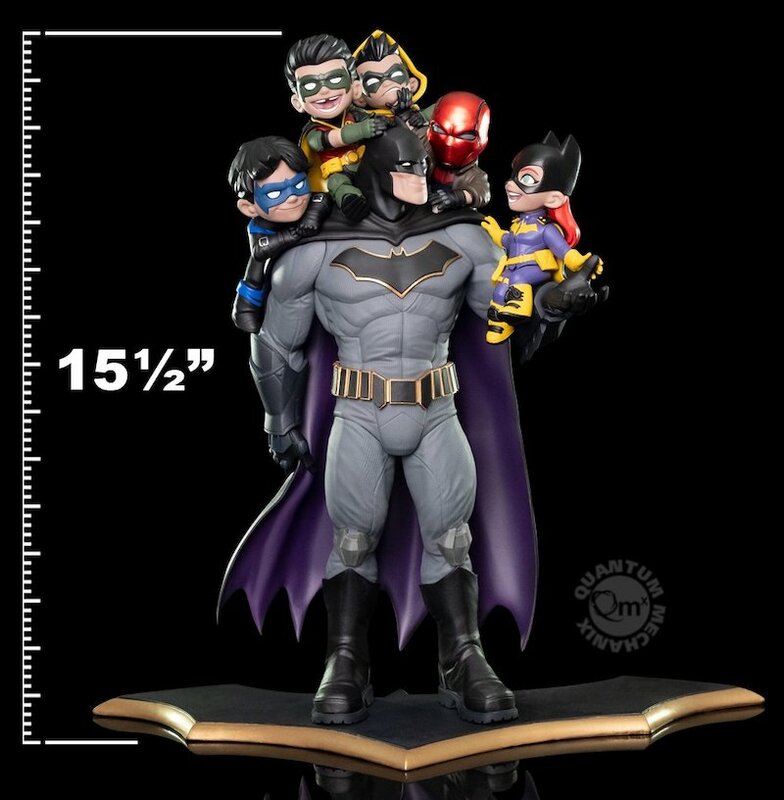 Bruce Wayne’s life, though he is depicted as a loner, has a strong family element to it. 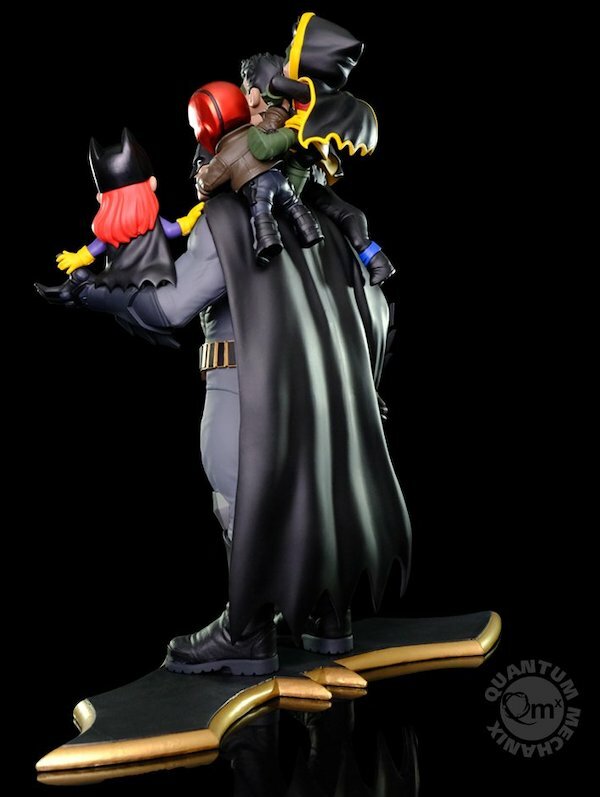 The loss of his parents helped create Batman, and he has taken in many others into his life and adventures in an effort to deal with that loss; and make sure that they aren’t alone. This is the largest piece QMx has ever made, and is the first in a new series of large dioramas “Q-Master.” The statue, designed by QMx Creative Director Mohammad Haque, is made of a proprietary high-temperature polyresin developed by QMx. Everstone that provides high detail that also resists fading and fracture. It comes with a numbered Certificate of Authenticity signed by it’s creator and ships in a specially designed collectors box. You can sign up for the wait list today to make sure you get yours!